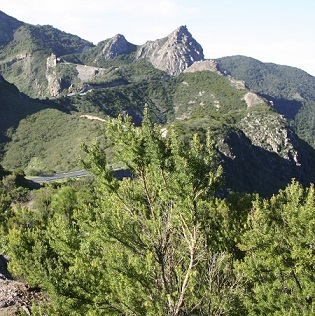 The island of La Gomera has many great things about it. Its natural beauty is obvious for all to see, its luxury hotels such as Jardin Tecina offer a relaxing break from everyday life, and its climate offers enviable temperatures practically all year round. But there is also a traditional and historical side to this island in the Canaries; summed up perfectly by the recent resurgence of a rare form of communication that almost died out a couple of decades ago. Silbo gomero is a language made up of between just 2 and 5 vowels and 4 and 9 consonants (depending on your skill level), yet it is many times more effective than shouting and is perfectly suited to the natural landscape which the locals call home. No one really knows how far back the origins of the whistles go but many believe people have communicated in this way on La Gomera since at least the 15th century. During this time, the island was inhabited by African settlers; fuelling the general school of thought that silbo gomero has similar roots to other African languages which use clicks and whistles. When the Spanish arrived on the island they soon adopted this method of conversation; realising how useful it was in a place that has many deep valleys and vast ravines which make up its terrain. The whistles used can travel great distances across this landscape, often up to two miles, and help to bridge the expanses between the sporadic groups of houses. La Gomerans have said that one particular advantage of the language is that it helped them to send messages to each other during the 50s and 60s that the Guardia Civil didn't understand. The Spanish police used to round up members of the towns and force them to put out the forest fires which sometimes devastate the land. Whilst the police would receive payment from the government for this, none would be passed on to the locals and so they devised a plan. Using the whistling language which many of them were familiar with, they would relay the message that the Guardia Civil were coming to their friends in other parts of the island so that they could hide themselves and avoid being exploited. The reintroduction of silbo came after the decision that it would become a compulsory subject in La Gomeran schools during the 1990s. Whilst some parents were initially against this, claiming that the form of communication was a sign of peasantry, the initiative was passed and the language has seen a revival. Walking around this beautiful island today, you will struggle to hear silbo being used in the original way that it was intended. However, you may well catch a demonstration in one of the local restaurants that showcase the whistling to interested tourists. 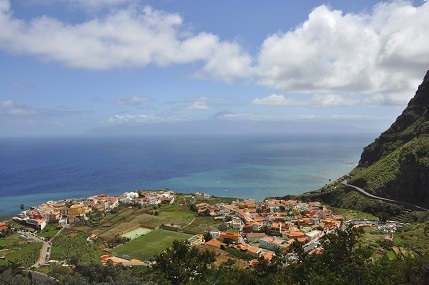 In fact, a reasonable proportion of La Gomera’s tourism is down to people wanting to learn more about the language and even try it out for themselves. So whilst the whistling may now be rarely heard in the valleys and ravines of La Gomera, its history brings it alive for everyone and it continues to be an important piece of the culture in this small but stunning part of the Canary Islands. Come and hear it for yourself during a rejuvenating stay at the Hotel Jardin Tecina. You can call us today to book your visit or complete a contact form and we will get back to you as soon as possible.